Bonn, 2 November 2015 – On 30 October 2015, the Executive Secretary of ASCOBANS, on behalf of the Agreement’s ten Parties, transmitted to the European Commission the outcomes of a one-year process to develop a common position of ASCOBANS Parties relating to the requirements of legislation to address monitoring and mitigation of small cetacean bycatch. The European Union has long acknowledged bycatch as the most serious threat to cetceans and adopted a number of regulations introducing mitigation measures with the aim of reducing bycatch, such as phasing out driftnets in the Baltic Sea and introducing the widespread use of pingers among others. In particular Regulation (EC) 812/2004 sets down measures concerning incidental catches of cetaceans in European fisheries. The Commission has been requested to “review the effectiveness of the measures laid down in this Regulation and accompany this review with an overarching legislative proposal for ensuring the effective protection of cetaceans” (see Regulation (EC) 597/2014 (4)). 2. 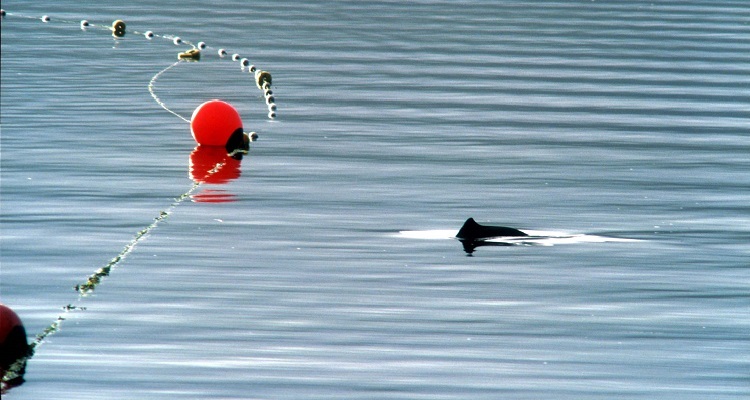 Proposed Strategy for Assessing and Managing Cetacean Bycatch in European Waters, calling for a management framework defining the threshold of ‘unacceptable interactions’ or ‘bycatch limits’ to help safeguard the favourable conservation status of European cetaceans in the long term, and drive toward the ASCOBANS overall aim of zero bycatch. 3. ASCOBANS considerations on the need for a risk-based regional approach to the revision of Regulation 812/2004, for example taking into account regional differences in species composition, types of fisheries present and the density and spatial distribution of cetaceans. More detail on the process and related work on addressing cetacean bycatch can be accessed on this website’s bycatch page.